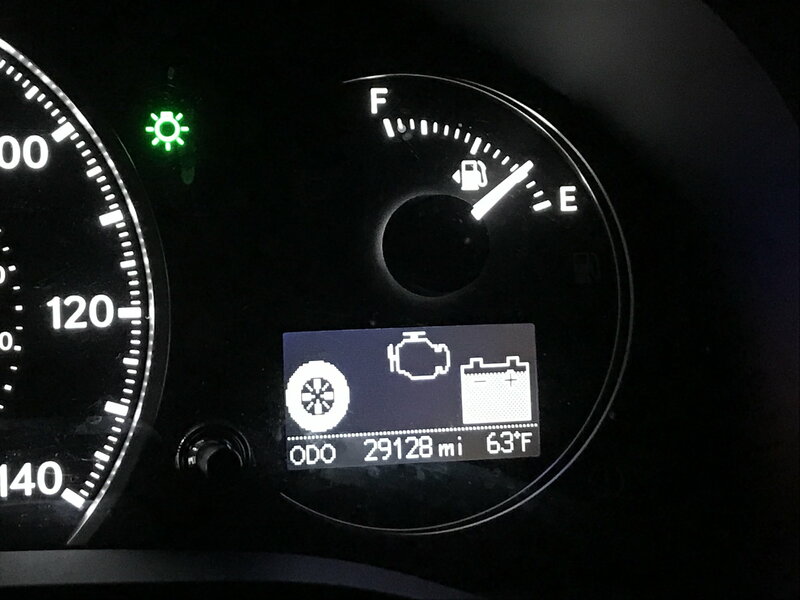 I just purchased a 2016 ct200h, dont even have plates yet, lol...On my way home last night I noticed the tire, engine and battery light were in and there were arrows going back and forth. Whats up with this? LOL. You have nothing to worry about. When you are driving, its showing that your either using your battery to move the car or combination of engine and battery and your battery charge status. Exactly this. On your main screen you can view how the car is getting power from the engine or battery/electric motors and sending it to the wheels or recharging the battery from braking or coasting. This little display is essentially a tiny version of that so you can view other things on your main screen. hybrids from different brands normally have that animation to show how the power is being managed at any given time. you are fine. it's an available tool to encourage/train you to drive frugally.